We had a great time caravanning with our friends, such a good time that we totally ignored our blog! We did manage to write a couple of posts but realized that they were never published. Nevertheless, we are going to publish them for our own benefit to recapture our memories along the way. 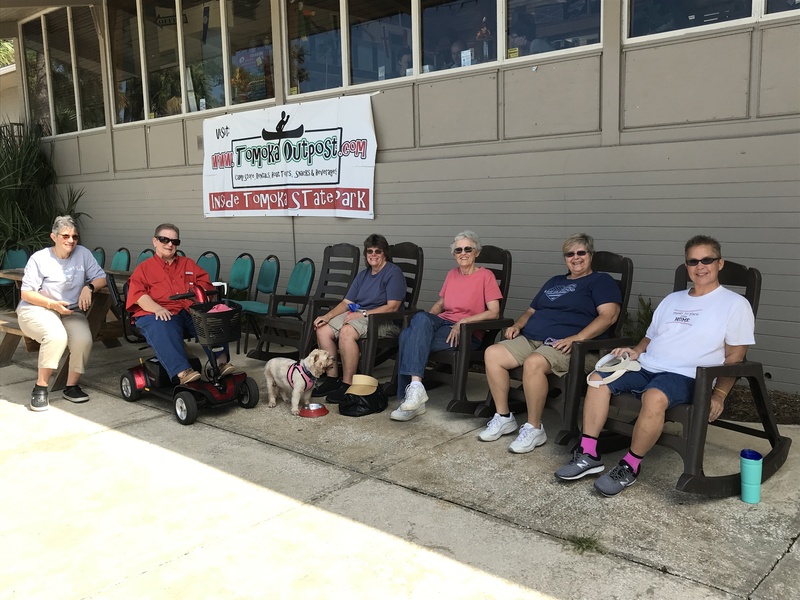 October 2018 – we made it to Florida with our caravan friends Lisa, Loretta & Traci. 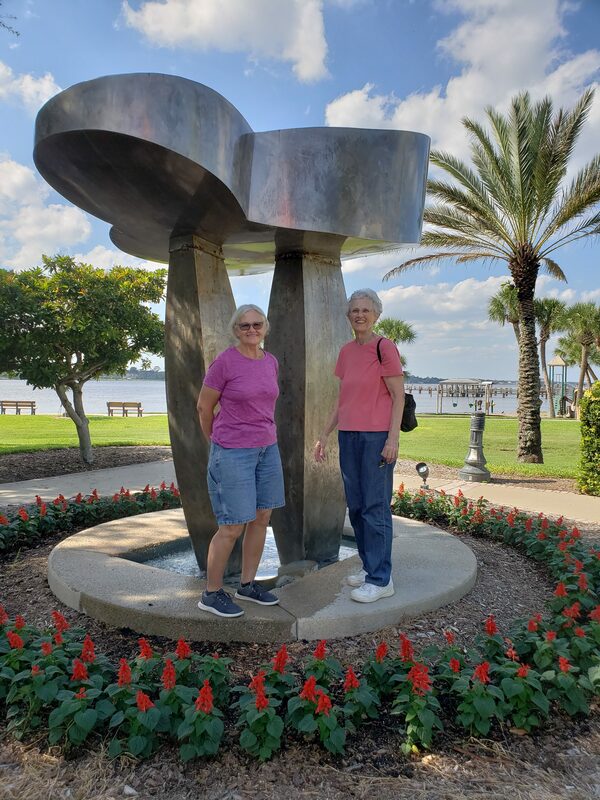 Our good friends Carol & Ann whom we have mentioned in previous posts arrived before us and welcomed all of us to Florida. 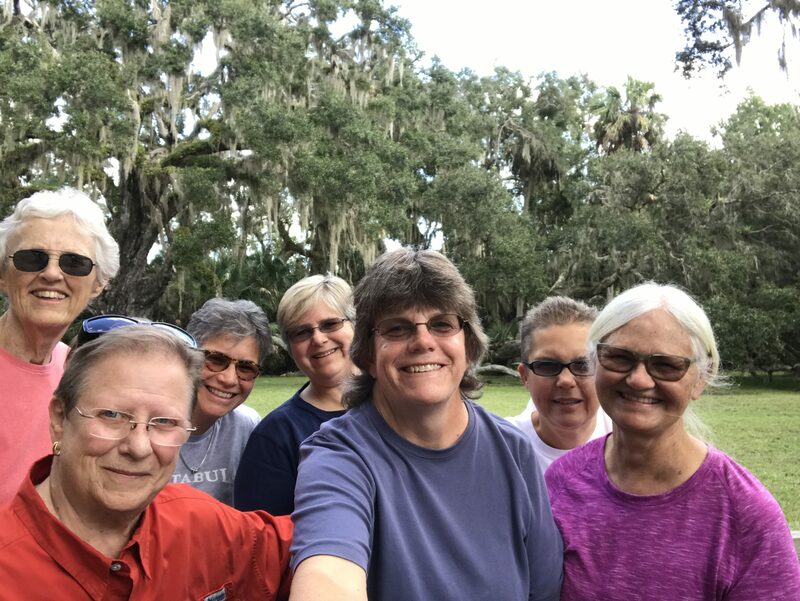 We all met at Tomoka State Park in Ormond Beach, FL. What a great time we had with old and new friends and now new friendships have formed! We took a 10 mile drive around Merritt Island Wildlife Refuge on Black Point Wildlife Drive and were lucky enough to see 3 alligators. As we drove slowly through the refuge, we saw lots of shore birds. We stopped for a great lunch at Dixie Crossroads in Titusville and enjoyed some great shrimp. 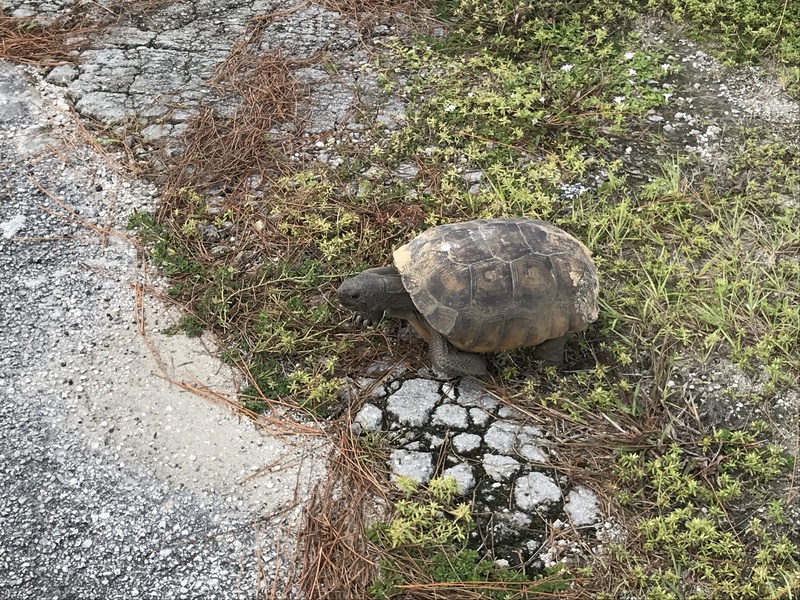 This little fellow was starting to cross the road and we couldn’t resist taking a snapshot. We enjoyed the campground and sat around and talked quite a bit. We enjoyed cooking a meal together and watching our friends get to know one another. 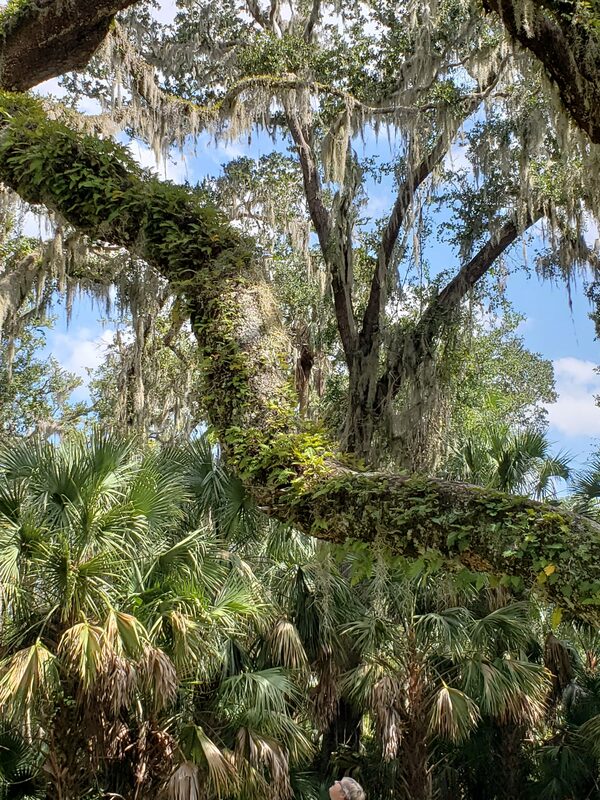 Next Stop – Key West! Following our reunion it was time to hit the road to head to the Florida Keys! It has been over 30 years since we have visited. We drove south and boondocked at a Cracker Barrel in Homestead FL for the night before heading down Highway 1. Stay tuned for our adventures in the Keys!